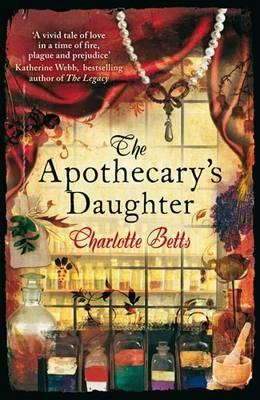 Today I am pleased to welcome Charlotte Betts, the debut author of the historical novel 'The Apothecary's Daughter onto The Big Break. It’s a great pleasure for me to be invited onto your lovely blog. The strangest thing to me now is that I didn’t start to write until about eleven years ago. One day I couldn’t find anything I wanted to read and so I started to write. I found it fascinating and was always scribbling away in a corner somewhere. In 2009 one of my short stories was published in the Romantic Novelists’ Association Fiftieth Anniversary Anthology. In 2010 I uploaded the first chapter of my seventh novel, The Apothecary’s Daughter onto the Arts Council sponsored YouWriteOn website. 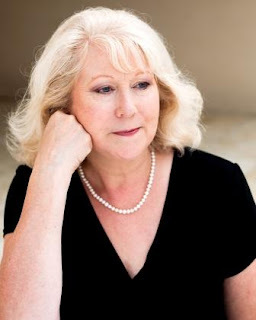 It was my first proper historical novel and my agent, Annette Green, saw it and asked me to send her the manuscript. I thought I’d died and gone to heaven when she said she loved it! Then, soon after that Piatkus signed me up for a two book deal. The Apothecary’s Daughter won the YouWriteOn Book of the Year Award for 2010 and in 2011 the RNA New Writers’ Award. Subsequently it was shortlisted for the ChocLit Best Historical Read and is long-listed for the Waverton Good Reads Award. Your debut novel, ‘The Apothecary’s Daughter’ has received a lot of praise since it came out in hardback last year, how does that make you feel? Absolutely delighted! I wrote the kind of book I like to read and it’s a wonderful feeling when other people like it too. It has given me the confidence to continue writing. Right from the beginning I begged my editor, Lucy Icke, not to let the book have a cover showing a headless lady in a low-cut bodice. The Apothecary’s Daughter is a love story but not a Romance. In places it’s quite gritty and I didn’t want the reader to have the wrong impression. I was allowed to make suggestions (quite a lot, in fact!) and then the first draft was produced by a designer called Sian. I’ve never met her but can’t believe I wouldn’t like her because she made my imaginings come so perfectly to life. I read the book in two days and felt like I had stepped in to the London of 1665. How did you manage to create such a realistic, descriptive story? All the time I was writing I saw the scenes unfolding in my mind as if they were a film. I imagined myself walking through the streets, alleys and courts of Restoration London and did my best to capture the scents, textures and sounds as well as the sights. I’ve been a designer most of my life and wanted to paint a rich, sensual picture in words. I know that you read the diaries of Samuel Pepys to help your historical authenticity, what other research helped you to get it just right? I read anything I could find on the period from children’s history books to great dusty tomes from the local library. I trawled the internet for useful sources and kept an electronic file of snippets of interesting information and illustrations of fashion, food and furniture. Two of my most useful reference books were Liza Pickard’s Restoration London and Daniel Defoe’s The Journal of the Plague Year. If you could ask Samuel Pepys one question, what would it be? Sam clearly held his wife, Elizabeth, in great affection but she died young in 1669. Given his high level of interest in women, I’d ask him why he never married again. This may surprise you, but I found that in certain ways the book reminded me of L.M. Montgomery’s Anne of Green Gables; I would say it was possibly your writing style. Was she one of the authors that you read as a child? I read widely as a child and I’m sure I did read Anne of Green Gables but have no memory of it at all. Now I’m curious and shall have to visit the library to see if I can find a copy! Susannah is a quite a strong and independent woman for that time period, which was quite unusual. Is she based on anyone from history or were you just determined to create a strong female character? Susannah is based entirely upon my own imaginings but I didn’t believe my heroine would appeal to the modern day reader if she wasn’t strong-minded and pro-active. After Susannah’s mother died when she was fifteen, she worked at her father’s side learning the apothecary’s trade. He taught her Latin and discussed the latest plays and books with her so her education was unusual for an ordinary woman. In the book, Susannah and her friend Martha argue about this when Martha tells her she should settle down and become a proper housewife. Were any of your characters based on real figures from history? No, although I carefully followed real dates from history and fitted my story around them. It’s important to me, although the story is fiction, that it’s historically correct. In the sequel, The Painter’s Apprentice, which will be published this summer, I do use several real historical characters. I can’t say anymore or I’ll give away too much! It certainly wasn’t! I tried for years, sending off every novel I wrote. A few agents sent me some encouraging words, which made me strive to improve but the big break didn’t come for me until 2010. I’d self-edited the book many times and my agent didn’t ask me to make any changes at all. I’d believed that since publishing houses’ budgets had all been cut so drastically, that the novel would be checked for typos and perhaps a few minor changes made. It was quite a shock to find out the reality! Some changes were minor but a more difficult change was to remove a subplot, which was interwoven throughout the narrative. However, working with my editor, Lucy Icke, has been a privilege. She has given me invaluable advice on how to look at a novel’s structure, develop characters and make the novel shine. Disbelief! After all the years of trying to achieve publication I really thought it was the impossible dream. It’s so much harder now than even ten years ago. But then I was only just beginning to learn the craft of writing and that takes time. How have you found working with the Piatkus team? Fantastic. They are all so enthusiastic and supportive and have worked hard to help me make the book a success. The Painter’s Apprentice, the follow-on to The Apothecary’s Daughter is with the copy editor now and I hope to see proofs in March before publication in August. I’m researching the next novel now, which will be set just after the Great Fire of London. It’s in the early stages and I haven’t even discussed it with my agent yet! If it’s a week day I get up very early and read over what I wrote the previous night before leaving home to reach work about 8am. I’ll mull over the storyline on the short drive to the office. If work isn’t too frantic and I’m able to take a lunch break, I trot over the road to The Chequers Hotel and order a cappuccino in the bar while I fire up my netbook. Then I lose myself in the C17th century for an hour, typing away furiously to try and beat the clock. After work I race home for about seven and write for an hour while the dinner is cooking. About three evenings a week, more often if I have a deadline looming, I write after dinner until I fall asleep with my face on the laptop! If it’s a weekend, I go to the office on Saturday mornings and then catch up with the family and housework in the afternoon but squeeze in an hour or two of writing. I always write on Sundays for most of the day unless there is a family event. Once you are tied into a publishing contract you must meet the deadlines. A lot of other things you’d like to do lose priority when you also work full time. Unless you are amazingly brilliant or extraordinarily lucky, you need to be obsessive about your writing, always striving to improve. It also helps if you are someone famous! Thank you Charlotte for sharing your story with us. I find you truly inspiring! I love this cover. I really do think it makes the book. Really interesting interview, I loved hearing about the approach Charlotte took as she was writing a historical novel. She had a really interesting story. I didn't know anything about WriteOn beforehand. No worries. Glad you enjoyed it. I just came across this book on another blog yesterday, and immediately added it to my TBR list. This interview makes me want to read it even more! Excellent job, both of you. :) I enjoyed reading this! LOL, I think it might have been my blog as you commented on it yesterday. Great job Vivienne and Charlotte. I love strong women in my fiction and quite agree that we modern women don't like or really relate to simpering, foolish females as our heroines.